Guest Post: Is it cruel to make children sit and work in silence? Ahead of a talk to be given at the Institute of Education, Tom Bennett, behaviour guru and figurehead of the ResearchEd movement, invited questions via twitter that he hoped he could address in his seminar. One tweeter asked “Is it cruel to make [children] read/ write/ think in silence?” Bennett’s response on twitter was a one word, “no”, accompanied by this picture of guffawing muppets. The subject of this particular post is not twitter etiquette or one particular exchange, but rather the implication that it is acceptable to consider this question about cruelty to be out and out laughable. Bennett’s response is representative of a widespread return, particularly amongst the ‘edublogger’ community, to ‘traditional’ approaches to education, in response to a perceived failure of a ‘progressive’ project in which a child’s autonomy is supposedly prized above all else. The story goes that allowing children to discover by themselves, without the hindrance of attempts by those wiser than them to transmit valuable and hard-won knowledge, or to discover their moral code free from external constraint or imposition, has bred a growing number of illiterate and morally reprehensible youths unable to improve their own social situation. The implication is, I suppose (although no argument was offered on this occasion) that it is far from cruel to impose things on children that they do not want or enjoy when we know what is best for them, and that we should laugh away any suggestions that it might be, for the educational good of our children. I imagine one might also argue that silence is imposed on children by teachers, who have some wisdom in these matters, that this happens in school, which is a certain kind of institution that requires certain kinds of behaviour, and that it is conducive to better learning. We certainly wouldn’t claim that it is never in any circumstance cruel to require a child to sit in silence. Before we proceed, I will note that I am going to make a comparison with a disciplinary situation, but I am not assuming that the practice of requiring children to sit in silence in school would be necessarily a disciplinary practice. Pedagogical reasons can be offered for it. That said, let’s imagine a father, who in response to some real or imagined slight, requires a young child to sit without speaking for several hours, and maybe continues to extend the time period whenever the child makes a noise – up to, say 48 hours? The father might say that he is the parent, who knows best, that this is his home and his rules, and that this discipline is for his child’s long term good. This father is not simply mistaken somewhere in his reasoning. He is cruel. In other circumstances the line might not be so easily drawn, but the fact that the father’s stated reasons seem at least at first glance to be of a similar kind to those that might be offered by teachers shows us that claims linking silence in class to cruelty cannot simply be dismissed as ridiculous. We are moving here into realms of subtlety and nuance, to questions about appropriate context, and ultimately to the discernment of appropriate justifications for our actions. Imagine that our hypothetical father has observed the practice of putting a child in ‘timeout’ to think for a while about her actions. This is commonly accompanied by a requirement to sit in silence. But this practice does not in all possible applications escape charges of cruelty. Consider, for example, if a parent finds that he put his child in timeout to reflect on a crime she didn’t actually commit. Most parents are going to feel pretty bad about that. It’s also fairly clear that a young child can only be expected to reflect in silence for a few minutes. Any longer than that is unlikely to have the desired effect, and risks the charge of cruelty. One would also imagine that this practice would simply be harmful for a child who was unlikely to understand what she had done wrong. Some other approach to moral formation would be necessary. So there are perhaps three considerations relevant to determining whether a certain way of treating a child is cruel. The first might be proportionality. In the case of ‘timeout’, for example, five minutes is appropriate, say, and three hours is too long. Then there is the justification for using this approach over another. Do we have a good reason for doing this rather than some alternative? Finally, there must be some confidence that the approach we have taken will bring about the result we want. If we require children to sit in silence for too long, with no good reason, and without any confidence that this will bring about any substantial good for them, then we could rightly be accused of being cruel, because children like to make noise. I’m not arguing that teachers are always being cruel when they require children to sit in silence, but I am calling for teachers and influential educators to think about the subtleties of context and justification. It is certainly conceivable that teachers sometimes require children to work in silence for a disproportionate amount of time, without having really considered other ways of going about a similar learning task, and without any particular reason to believe that the silence is necessary or useful in bringing about a particular desired educational outcome. And it is far from cut and dried that there might not at least in a small number of these situations be some cruelty involved. 5 Responses to Guest Post: Is it cruel to make children sit and work in silence? I usually define cruelty as taking delight in the suffering of others. So a parent who likes seeing their kids struggle with silence is cruel, but one who merely thinks it is somehow good for them but empathizes with their struggle may merely be harsh or misguided. Morally it seems reasonable to condemn the first parent, while the second parent is just wrong. There may be an intermediate case with a parent who is neutral to the child’s struggle; here I think the error is lack of empathy, which might not be exactly a moral failing but still a rather big failing as a parent. Thanks Anders. I’m not sure that the delight element is necessary for cruelty, but agree that it normally has a wilful element. Thanks Anders. I’m not sure that the delight element is necessary for cruelty, but agree that it normally has a wilful element. Nevertheless, I think the line where negligence stops and cruelty starts is a difficult one to draw. None of the arguments in here make the slightest bit of sense. >let’s imagine a father, who requires a young child to eat for several hours, and maybe continues to extend the time period whenever the child stops eating – up to, say 48 hours? >let’s imagine a father, who requires a young child to play for several hours, and maybe continues to extend the time period whenever the child stops playing – up to, say 48 hours? I knew it! Play is cruel and unusual! While the father’s actions in your bizarre thought experiment are obviously unusual and cruel, the cruelty has nothing at all to do with the sitting in silence. Consider, for example, if a parent finds that he had a doctor perform surgery on his child for an illness she didn’t actually have. Consider, for example, if a parent finds that he gave his child remedial tutoring when she wasn’t actually behind in her class. As above, the problem here is not with the timeout, it’s with the failure of the felicity conditions. I’m not a huge fan of Tom Bennett, but you do need proper arguments if you’re going to disagree with him. 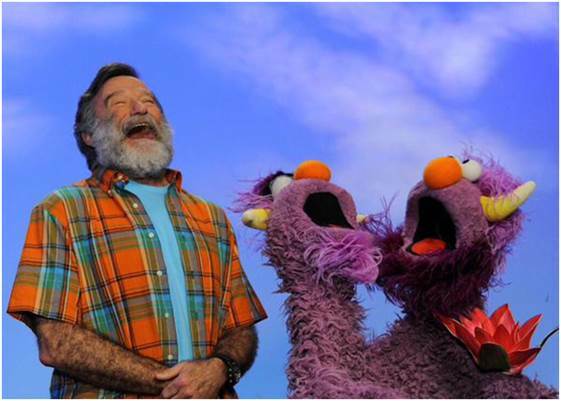 These are pretty much worthy of his Muppet chortle. Thanks Phil H. I don’t think you’ve pulled off the reductio you intend. It’s worth bearing in mind that my aim is only modest – perhaps too modest. I only present a case for not laughing off the idea that silence in class might in some cases be cruel. The argument stands for silence even if it also applies to some other cases. That said, through your attempted reductio ad absurdum you do bring up some other interesting possibilities. Because as you imply, it is not at all absurd to imagine that requiring play can be cruel even in some schooling situations. Consider if we inflict a game of rugby on a whole class on a cold winter’s day in order to develop ‘grit’ or character. I’m not convinced of the educational value of this, and can see how it might be cruel.